Partners for a New Beginning (PNB) advances economic opportunity in the focus areas of entrepreneurship, education, and innovation by catalyzing and convening networks of global leaders. Partners for a New Beginning (PNB) commits to broaden and deepen engagement between the United States and international Muslim communities by building public-private partnerships which advance economic opportunity, science and technology, education, and exchange. These partnerships will increase access to financing, boost business capacity and development services, improve educational opportunities for students and teachers, foster physical and virtual exchange programs, and enhance science and technology solutions that will positively impact up to 500,000 people across PNB targeted countries over the next five years. 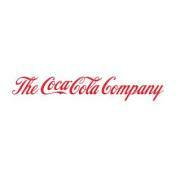 PNB is supported by a global coalition of prominent business and civil society leaders. Ten locally-owned and locally-driven PNB Chapters have been launched, including a regionally focused partnership in North Africa. Local Chapters include: Algeria, Egypt, Indonesia, Jordan, Mauritania, Morocco, Pakistan, Tunisia, Turkey, and the Palestinian Territories. The establishment of a local PNB Chapter in Libya is currently underway. PNB and its partners have launched, expanded, or pledged support for more than 180 new projects since the partnership began in September 2010. In turn, these projects will have impacted over 330,000 people, result in job training for over 43,000 individuals, and will initiate over 21,000 new businesses. The United States Department of State (DoS) is the United States federal executive department responsible for international relations of the United States. The Department was created in 1789 and was the first executive department established. Headquartered in Washington, D.C., the Department operates the diplomatic missions of the United States abroad and is responsible for implementing the foreign policy of the United States and U.S. diplomacy efforts. The Department is also the depositary for more than 200 multilateral treaties. 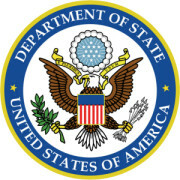 Led by the Secretary of State, the Department also supports the foreign affairs activities of other U.S. Government entities including the Department of Defense, the Department of Commerce, the Department of Homeland Security, the Central Intelligence Agency, and the U.S. Agency for International Development. It also provides an array of important services to U.S. citizens and to foreigners seeking to visit or immigrate to the U.S.. There are more than 190 countries in the world, and the United States maintains diplomatic relations with some 180 of them, as well as with many international organizations. The President’s FY 2015 budget request for the Department of State and the U.S. Agency for International Development (USAID) is $46.2 billion. Middle East and North Africa ($7.0 billion). Provides robust support for Israel and Jordan while helping countries in transition like Tunisia, Egypt, Libya, and Yemen. Includes resources to provide life-sustaining aid to those displaced by conflict; to address the regional impact of the Syrian conflict; and to promote successful transitions and reforms in the region. East Asia and Pacific ($1.4 billion). Supports robust engagement in the Asia-Pacific region by strengthening US alliances; bolstering the region’s security architecture; focusing on economic development issues, including energy and the environment; and fostering people-to-people exchanges. Afghanistan and Pakistan ($3.6 billion). Protects US national security interests and sustains important investments in the stability, security, and development of Afghanistan and Pakistan. The budget focuses on developing our relationship with Pakistan’s new civilian government to lay the groundwork for stability and growth. International Organizations and Peacekeeping ($4.8 billion). Continues our engagement with important partners including the North Atlantic Treaty Organization and the International Atomic Energy Agency. In partnership with other nations, supports critical UN and non-UN peacekeeping missions, including efforts to advance global security in Somalia, Mali, and the Central African Republic. Security, Law Enforcement, Counterterrorism and Related Assistance ($1.3 billion, excluding the Middle East, East Asia and Pacific, Afghanistan, Pakistan). Reduces potential threats from international terrorist activities; illicit trafficking of weapons, narcotics, humans, and wildlife; and nuclear, chemical, and biological weapons. Public Diplomacy and Education and Cultural Exchanges ($1.1 billion). Continues to counter violent extremism, expand and strengthen people-to-people relationships, inform policy making, and deploy resources in strategic alignment with foreign policy priorities; fosters support for academic programs, professional and cultural exchanges, and continued growth for strategic partnerships around the world. Global Health Initiative (GHI) ($8.1 billion). Reflects a comprehensive and integrated global health strategy toward achieving an AIDS-free generation and ending preventable child and maternal deaths. Includes $1.35 billion in support of the President's pledge to provide $1 for every $2 pledged by other donors to the Global Fund to Fight AIDS, Tuberculosis, and Malaria, with an additional $300 million available, if enacted, through the President’s Opportunity, Growth, and Security Initiative. Feed the Future ($1.0 billion). Works with partner countries to continue sustainable investments in agricultural development with the goal of breaking the vicious cycle of hunger and poverty. Improves incomes and nutrition, working from farms to markets to tables and promotes greater private sector investment in agriculture. Funding also aims to reduce long-term vulnerability to food insecurity, especially in the Horn of Africa and the Sahel. Global Climate Change Initiative ($506.3 million). Advances the goals of the President’s Climate Action Plan by fostering low-carbon growth, promoting sustainable and resilient societies, and reducing emissions from deforestation and land degradation. Incentivizes private sector investment, improves resilience of countries that are most vulnerable to climate and weather-related disasters, and supports fast-growing economic and regional leaders in their transition to clean energy. Humanitarian Assistance ($4.8 billion). Provides life-saving interventions to people affected by conflict or natural disasters. Includes $1.1 billion to respond to the humanitarian crisis in Syria. Requests $1.4 billion in P.L. 480 Title II Food Aid, continuing to support reforms within the Agriculture bill that will provide flexibility to assist approximately 2 million more emergency beneficiaries with the same level of resources. U.S. Global Development Lab ($151.3 million). Builds USAID’s Global Development Lab to create a world-class capability to discover, incubate, test, and scale transformational solutions that are faster and cheaper. Additional funds to accelerate progress toward development goals would be provided through the President’s Opportunity, Growth, and Security Initiative, if enacted. 1. Seminars, which help participants reflect on what they think makes a good society, thereby deepening knowledge, broadening perspectives and enhancing their capacity to solve the problems leaders face. 2. Young-leader fellowships around the globe, which bring a selected class of proven leaders together for an intense multi-year program and commitment. The fellows become better leaders and apply their skills to significant challenges. 3. Policy programs, which serve as nonpartisan forums for analysis, consensus building, and problem solving on a wide variety of issues. 4. Public conferences and events, which provide a commons for people to share ideas. The Institute is based in Washington, DC, Aspen, Colorado, and on the Wye River on Maryland’s Eastern Shore and has an international network of partners. Aspen Global Health and Development (GHD) has a straightforward mission: It supports innovative strategies for global health and poverty alleviation. GHD supports public leaders in health in low- and middle-income countries and creative solutions to address global health and poverty at significant scale. Most of the developing world will not reach the Millennium Development Goals (MDGs), particularly in health and poverty reduction, and gaping inequities in health and income remain between the developed and developing world. The last decade has seen progress in reduction of major diseases, yet developing county health systems are fragile and large percentages of populations still do not have access to basic health care. Integrating health and poverty alleviation strategies is essential for accelerating progress towards the MGDs. GHD's mission is to identify, assess, and support highly innovative strategies for global health and poverty alleviation. As a legacy program of Realizing Rights, GHD will continue and grow Realizing Rights' Global Health Equity Program. GHD will also continue programs in the following areas: the global health workforce crisis, policy innovations to address the challenges of global health worker migration, women’s global health including maternal mortality and reproductive health, community based models of financing for health, and aid effectiveness in development assistance for health.